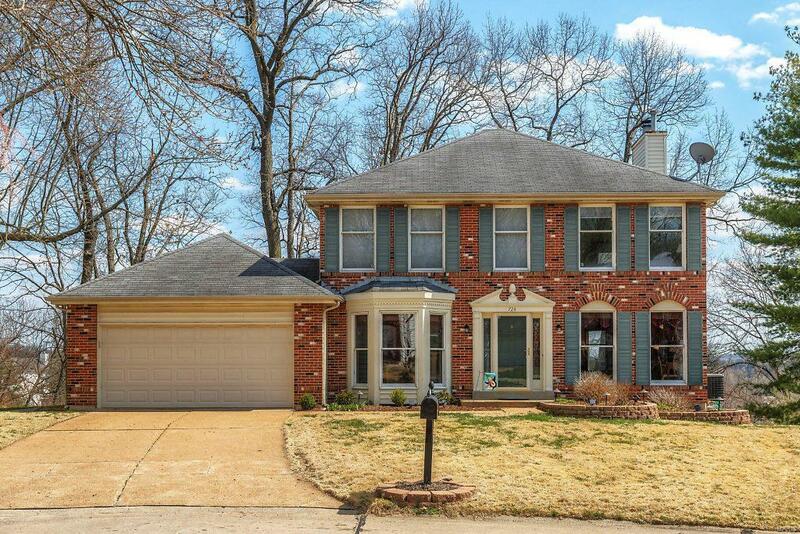 Beautifully updated brick 2 Sty in sought after Westbrooke neighborhood! Classic center hall floor plan features wide plank oak flooring, extensive millwork & bay windows. 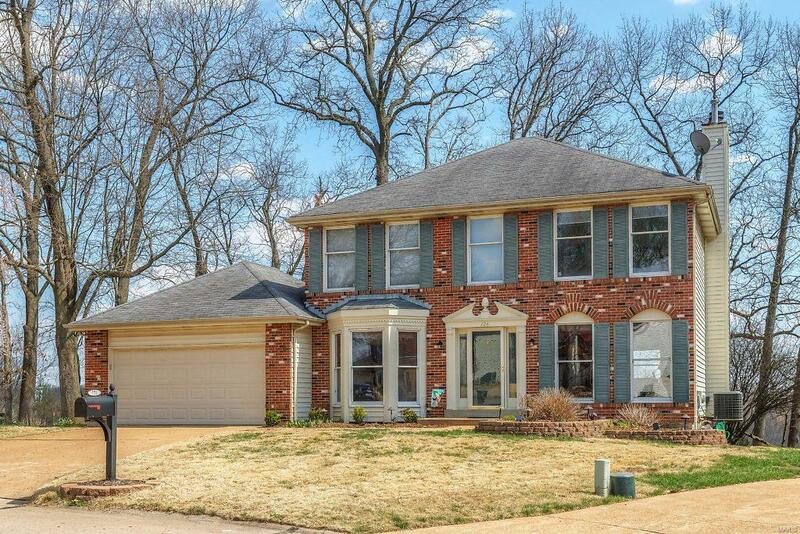 Gracious hardwood entry foyer leads to formal living & dining rooms with crown molding and family room with wide bay window, floor-to-ceiling brick fireplace flanked by built-in bookcases & atrium door that walks out to deck. The kitchen is a chefs delight with 42 cherry cabinetry, Corian countertops, stainless steel appliances & center island with breakfast bar. Spacious master bedroom suite with His & Hers closets & luxury master bath offers an appealing retreat. 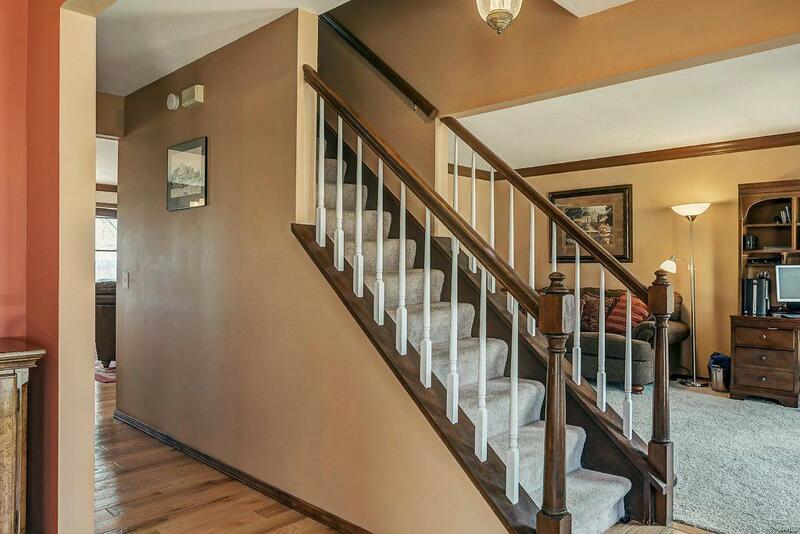 3 Generous-sized additional bedrooms & hall full bath complete the 2nd floor living quarters. Lower Level entertainment space includes huge recreation room & full bath. 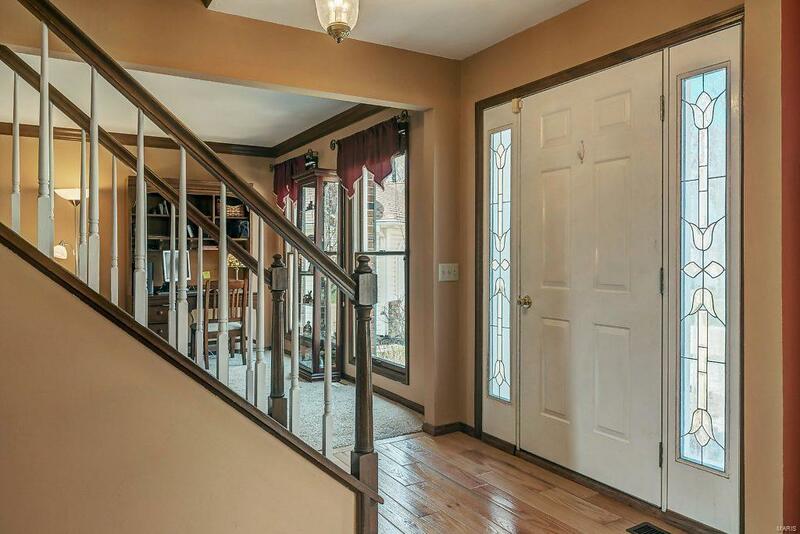 Situated on a private cul-de-sac lot with deck, patio & oversized 2-car garage. Award-winning Parkway School district.